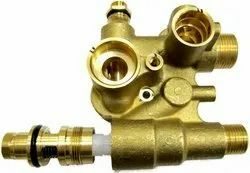 We Manufactures Brass Forgings Component for various Industries, These Products are supplied regularly to the National and International Customers, We Provide Various type of the Brass forged components, those are used in the Agricultural Equipments, Automotive Parts, Water & Valve Fittings, Electrical & Electronics Parts. In order to cater to the ever-changing requirements of our esteemed clients, we are involved in presenting a wide assortment of Forged Brass Components in the market. The offered components are designed as per the industry standards. Acknowledged for their high strength and excellent corrosion resistance, these components are highly demanded by the customers. Customers are reasonably charged for these components. 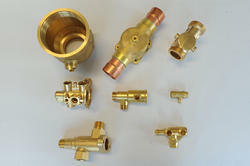 We are eminent names in the industry in offering a wide range of Brass Forged Parts to our patrons. These are made from optimum quality raw material under the visionary supervision of the best industry experts at our well-equipped infrastructure. Apart from this, for high strength and excellent corrosion resistance, these forged parts are highly demanded by the customers. 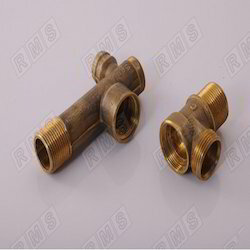 We produce and supply various kinds of Brass custom valve using high quality raw material and high quality machining. Production Process : High quality forging from extrude bar and CNC, VMC machining using latest technology. We manufactures and supply Brass Forging Parts as per customers drawing and specification using latest technology and premium quality raw material. We have marked a unique position in the domain by offering a wide gamut of Brass Forged Components to our respected customers. The offered components are designed by expert professionals using high-grade materials and innovative technology. These components are made available by us in several sizes to cater to the varied requirements of the customers. We have a leading organization in offering a supreme quality assortment of Brass Forging Components to our customers. The offered products are tested in terms of quality to deliver only defect less range from our side. Extensively used in automotive, agricultural equipment and electrical industries, these components are highly demanded. Customers can avail these components in bulk quantities at competitive prices. 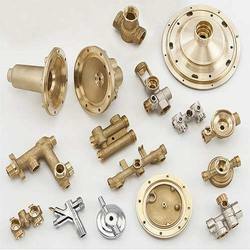 We Manufactures Brass Forgings Parts for various Industries, These Products are supplied regularly to the National and International Customers, We Provide Various type of the Brass forged components, and those are used in the, Automotive Parts, Gas & Geyser Parts, Sanitary fittings, Plumbing, Water & Valve Fittings, Electrical & Electronics Parts. 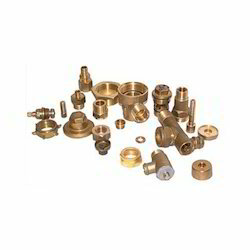 Any kind of Brass Forged Components can be developed As Per Customers Specifications. 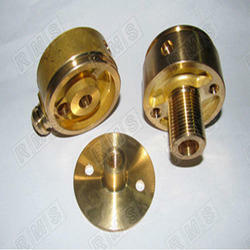 We are leading manufacturer,supplier and exporter of brass forging parts as per drawing and customer's specification.